Dorothy Miller used the term The Sandwich Generation in 1981. It referred to Baby Boomer generation people who had to shoulder multiple responsibilities at the same time. It made their lives complicated. Women were especially at a disadvantage. They had to shoulder all responsibilities at home, which included taking care of children as well as aging parents. The world has moved far away from those times but some things still remain the same. The family composition has changed completely. In earlier times, the husband worked and the wife remained at home. It allowed women to give best care to an elderly parent. Women used to remain at home even when there was no child in the household. Nowadays the number of women remaining at home has decreased drastically. More and more women are joining workforce. They have to work for longer hours. However, they are still required to take care of children and aging parents at home. It leaves them little time for social life, relaxation and other personal needs. In fact, even young women now experience exhaustion, stress and poor health due to long hours of work. With increasing expenses and high inflation level, it has become imperative for both husband and wife to go to work. The cost of living has increased manifold and there are not many options for married women to remain at home. They are left with little time to take care of children or aging parents. Financial necessity must be given more importance than taking care of aging mother or a child at home. Another noticeable change is that nowadays elderly population can look forward to longer lifespan. It has been possible due to advancements in health and medical industries. Most elderly persons generally do not need skilled care facilities at home. However, there are some elderly individuals who need eldercare from an able body person. The problem is that it is not possible for their adult daughter or son to remain at home to provide quality supervision and care they need. The Sandwich Generation still suffers from exhaustion and stress due to increased responsibilities. However, there is little time left to handle those responsibilities. It is not possible to go for work and still take care of children as well as elderly parents at home. Individuals trying to handle all such tasks can suffer emotional and mental problems. Some people try to handle this problem by placing their young children in a daycare center during the daytime. Some parents try to manage it by choosing different shifts in their jobs so that at least the father or mother is at home at any given time. However, this solution is not an option for everyone. Most Baby Boomer generation members have to entirely forget their personal life so that they can manage both work and home care responsibilities. All these arrangements are not very effective. This makes Sandwich Generation individuals feel guilty when they are unable to give quality time to their loved ones. It is not possible to do all works without any assistance. It is an excellent solution for anyone who is unable to take care of elderly parents at home. Home care nursing is a specialized field. Trained and qualified care giver visits the home at appointed time to take care of elderly individuals. 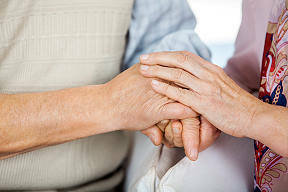 The professional remains at home as long as required and provides all the care that an elderly person needs. There are various ways families benefit from this type of professional help provided by a homecare aide. Young parents can benefit even if a professional caregiver remains at home just for a few hours. The aide can be hired for the duration of time when the parents are away from home. This solution helps provide 24-hour care and assistance to an elderly person who needs assistance regularly. The primary caregiver at home does not have to feel guilty. When a woman does not have to worry all the time about her parent at home in need of help, it is possible for her to think of career advancements. She can join a job that requires her to spend more time at work but also provides higher income opportunity. This type of professional help takes a big burden off the shoulder of young parents. They do not have to worry about taking care of their own parents. They do not have to worry about job related problems due to their busy parent care schedule. It is a good idea to hand over home care responsibilities of an elderly person to a professional caregiver who is trained to provide aid and assistance. It allows Baby Boomer members to provide quality care to their parents without sacrificing their professional job responsibilities. A home care aide helps them manage all their responsibilities nicely. They can provide best care to their parents and still enjoy their personal life.